Mandarich says he started using steroids in 1984, and was able to beat NCAA testing at the Rose and Gator bowls. "I basically strapped something to my back a little -- it was actually a little doggie toy," Mandarich said in an interview that stretched longer than 2½ hours. "Hooked up a little hose to it … ran a tube underneath and put a piece of gum to cap the tube." 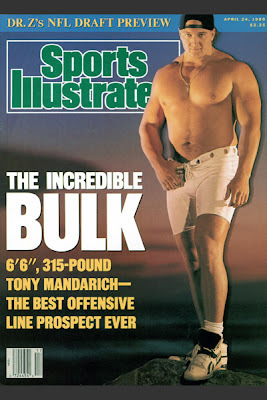 Before the 1989 draft, Sports Illustrated put Mandarich on the cover, shirtless and massive. They called him "the best offensive line prospect ever." Letterman: "Oh, geez … what kind of a guy does it take to sit here and say that?" Mandarich was an utter disappointment in Green Bay, and he never made it on the field in the final season of a four-year, $4.4 million deal. "Fifty, 60, 70 painkillers a day," Mandarich said. "I would just drink more because it's easier to get alcohol. 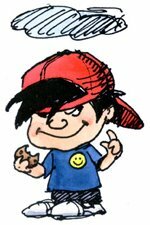 A lot of self-loathing … absolutely hated myself. I hated everything about me." 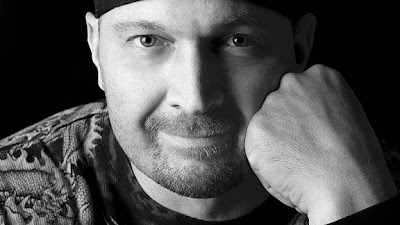 Tony Mandarich, now 42, says he doesn't regret the mistakes he made because they "forced me to make corrections -- it was either make corrections or die for me." In 1996, Mandarich made it back to the NFL, playing three seasons with the Colts -- without the aid of steroids, he says.